The 30th Annual Tour of Lakes Bicycle Ride--2019, will begin and end in downtown Brainerd at Sage on Laurel, 606 Laurel St., Brainerd, MN 56401. In keeping with past tradition, we have, again, modified the routes to change the scenery. This year we offer route choices of approximately 35 and 70 miles. Both routes depart from the downtown Brainerd area, pass through Nisswa, and return back to Brainerd. All riders will start between 6:00 and 8:00 A.M. 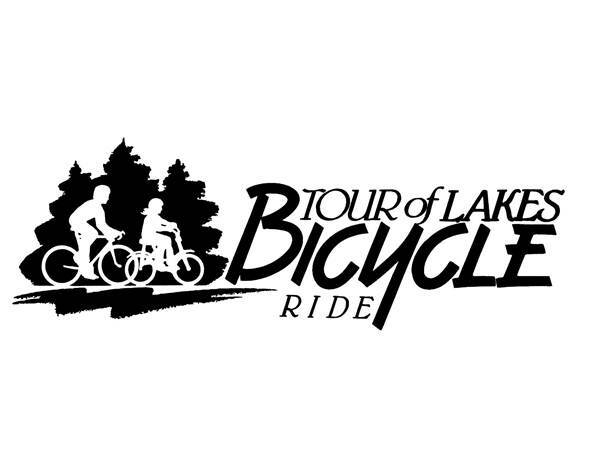 The Tour of Lakes Bicycle Ride is a recreational ride for cyclists. It is NOT a race. T-shirts will be handed out at check-in from 6:00-8:00 A.M. (Registration is required by May1, 2019 to guarantee shirt availability.) We are greatly concerned about the safety of our participants. All riders must obey the rules of the road, watching out for others as well as themselves. Our tour is entirely on public roads, and we must cooperate with other users. We require the use of an ANSI approved helmet by all entrants. Rest stops will be provided on both the long and short routes. We are known for the quality, variety, and quantity of food at our rest stops. Plan to be pleasantly surprised. Both routes will be monitored by support vehicles to aid in emergency situations and to help those with mechanical problems. Due to the large number of Tour of Lakes riders, priority will go to those with serious problems. Riders and their equipment are expected to be in good condition. As on all other rides, cyclists should carry tools, a pump or inflation device, and a spare tube. Route support will end at 3:30 P.M..
Bikes pulling trailers will be considered one unit and will receive one shirt. Riders under the age of 16 must be accompanied by an adult. Single riders must be 12 years of age or above. FOR ACCOMMODATION INFORMATION ONLY call the Brainerd Lakes Area Chamber of Commerce at: 1-800-450-2838 Ext. 461 or check their website at http://explorebrainerdlakes.com/lodging/index.htm. FOR ALL OTHER TOUR OF LAKES RIDE INFORMATION check the Paul Bunyan Cyclists website at www.paulbunyancyclists.com or call 218-833-8122. Check in will start at 6:00 A.M. and close at 8:00 A.M. Riders are permitted and encouraged to start as soon as possible after check in. All riders should be on the road by 8:00 a.m. The 6:00 to 8:00 A.M. start period should provide most participants the riding time needed to return to the start area by mid-afternoon. All riders must plan to be off their respective routes by 3:00 P.M.. The last rest stop will close at 2:30 P.M. and official course support will end at 3:30 P.M.